Belly up Frankie! 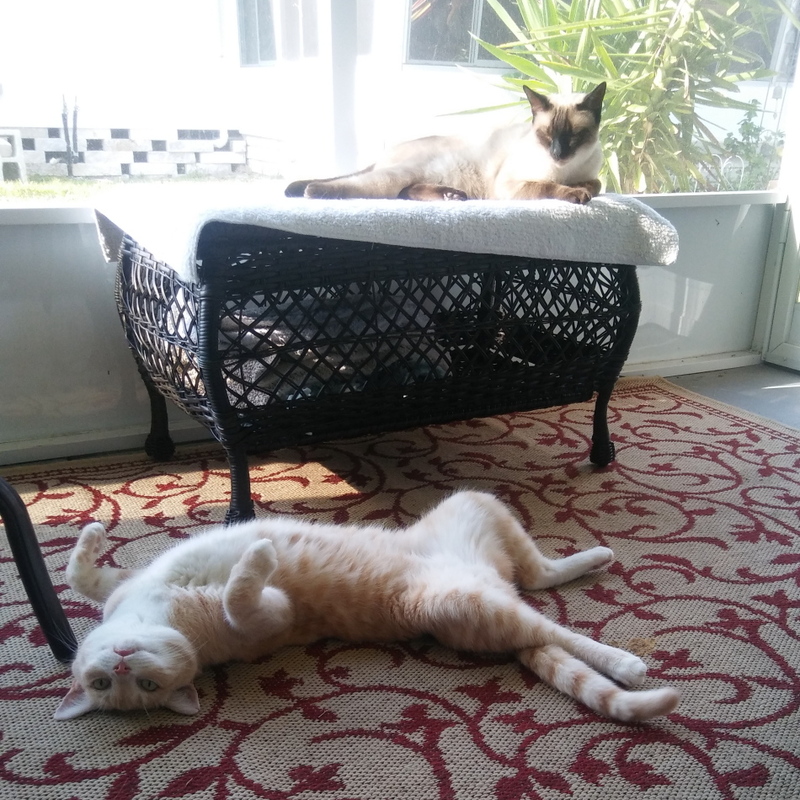 Floki looks way too happy to be in that sun puddle than to pounce on Frankie (thank heavens!). Frankie boy knows how to relax, tummy up. Or he’s not paying attention. Frankie just has no shame. And Floki doesn’t seem to care. I am soooo happy I held on to this! MOL!!! This just made my Monday! Cats don’t believe in modesty.